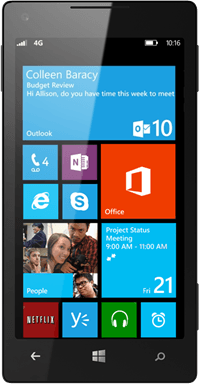 Microsoft is already facing lawsuits related to the recently-launched Windows 8 and Windows Phone 8 operating systems. Surfcast, a Portland-based company OS development company has filed a complaint with a U.S. District Court in Maine, claiming that Microsoft is infringing on its patents with the use of live tiles in their desktop, tablet and mobile software. The patent in question is US Patent #6,724,403: “System and method for simultaneous display of multiple information sources,” filed in October 2000 and issued in April 2004. The document covers a method of “presenting information from a variety of sources on a display device,” and describes a graphical user interface that presents this information in a grid of tiles that can refresh their content independently of the others. Surfcast's complaint also accuses Microsoft of inducing its partners to infringe its patent through devices running Windows software. Whether or not Surfcast has a case remains to be seen. Curiously, though, the company could have brought forward the same claims two years ago when Windows Phone 7 was announced, yet the company seems to have waited it out to build a stronger case. The company, which doesn’t appear to make or sell anything of its own, is asking Microsoft to pay damages for infringing the patents and cover legal expenses.